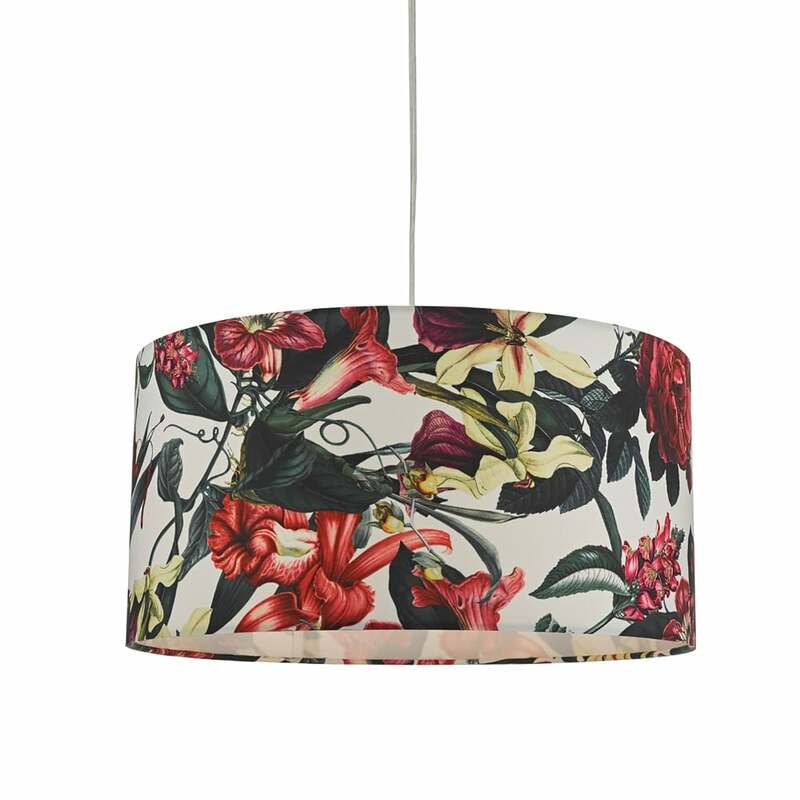 Dar Lighting Elana easy fit ceiling pendant shade features a botanical print drum shade on a white background complete with a white cotton diffuser. The product code for this easy fit shade is ELA6503. This beautiful pendant shade has an eye-catching botanical pattern and will instantly update any suitable room within your home without the need of an electrician. This can also be used on a table lamp by removing the diffuser. Dar Lighting offer an array of easy fit shades all of which can be viewed and purchased via our website.